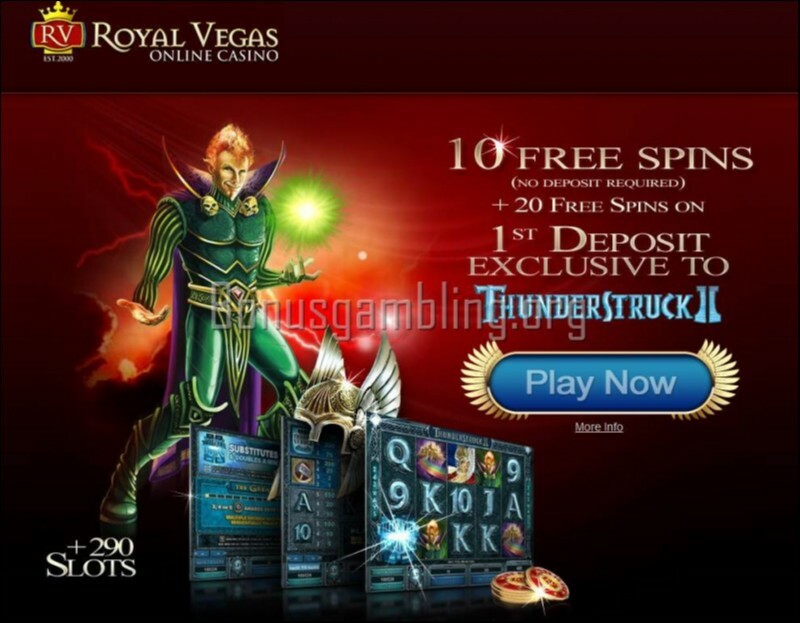 If you are looking for an online casino that looks different from the rest and provides an excellent online Vegas style gaming experience, Royal Vegas is definitely one online casino you should check out. The casino is available in multiple languages besides English. 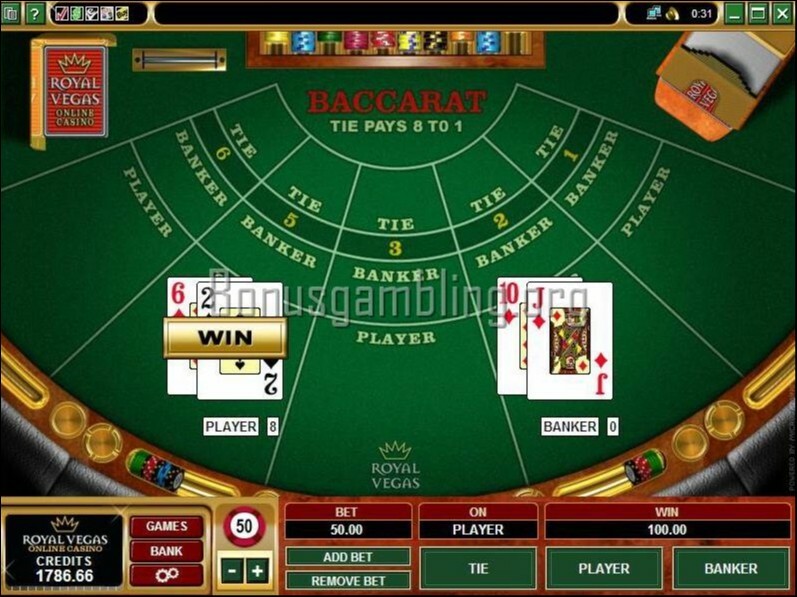 Also, this online casino is extremely popular among online gambling enthusiasts, if the over 30,000-strong player base it boasts of is anything to go by. 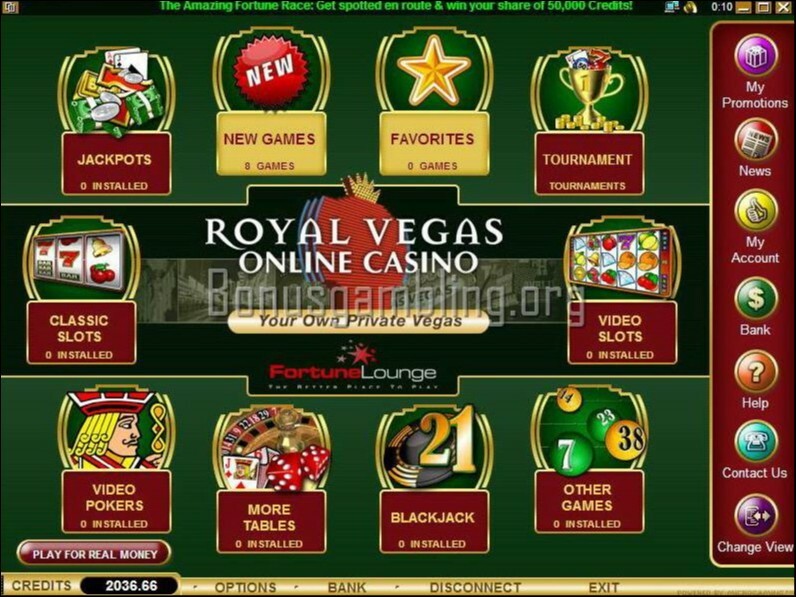 Royal Vegas is an award-winning casino and is a member of the Fortune Lounge group, a well-known name in the online casino industry that has a reputation for coming up with high quality online casinos for players. The home page is fabulous, and has a range of cool graphics and animations. The layout is simple and effective layout, ensuring easy navigation and giving the casino a spacious and uncluttered look. Like all other Fortune Lounge group casinos, Royal Vegas too is powered by Microgaming, one of the best when it comes to online gambling software development. You can either download this software to your computer or play directly from a browser using the instant play version. 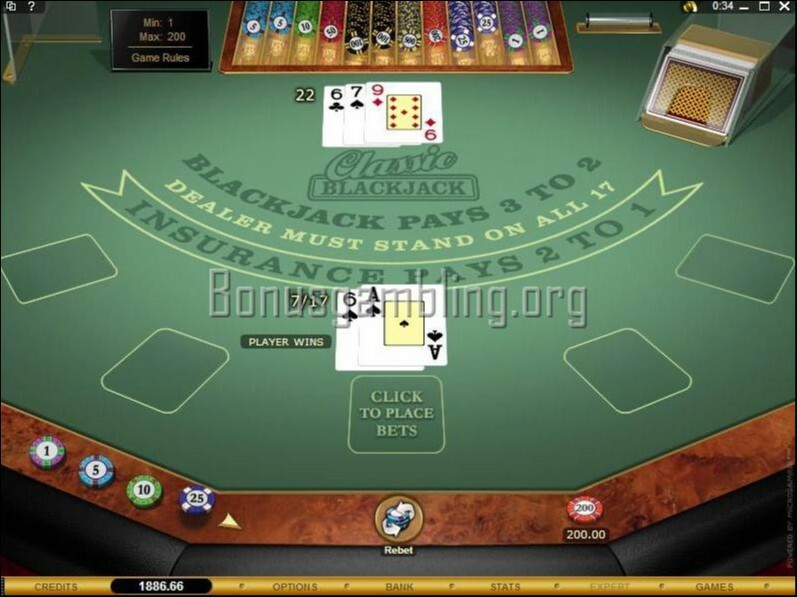 The software provides Royal Vegas with some excellent features, including multi-table gaming, multi-lingual availability, multi-currency transactions, the ability for players to track their transaction and hand histories using the CashCheck and PlayCheck features respectively, a chat feature, superb graphics and animations, and realistic sound effects. 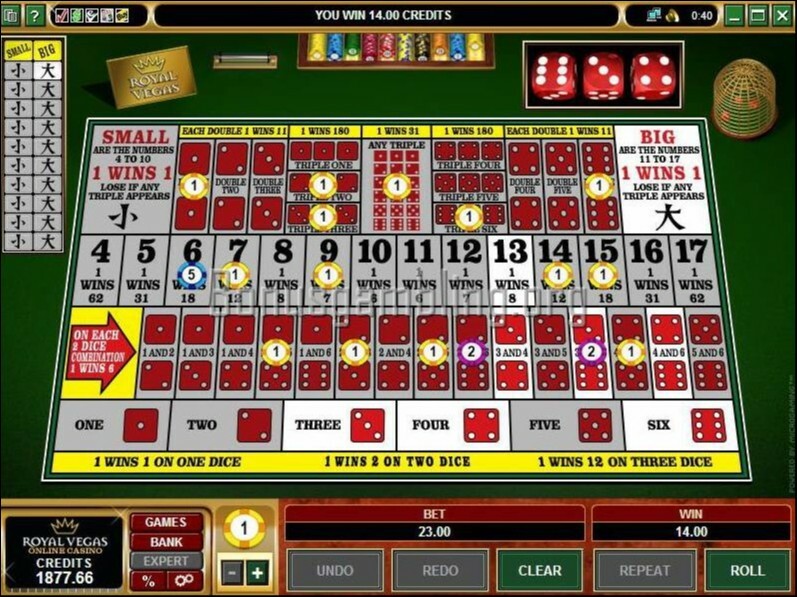 One of the best things about Microgaming casinos is the large number of games available and Royal Vegas definitely is up there with the best in this respect as well. The casino has more than 390 games for you to choose from. 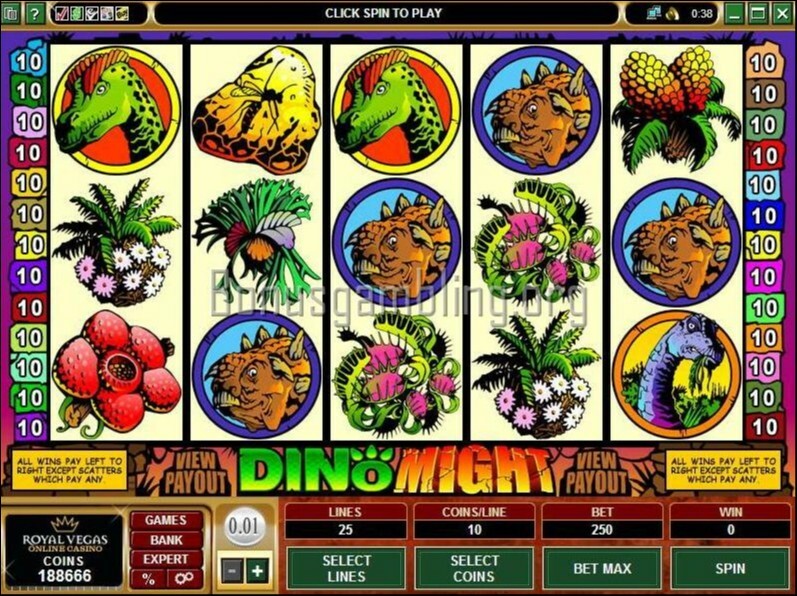 The games available include slots, table games, card games, video poker, and also progressive jackpots. Customer support is outstanding at Royal Vegas, thanks to a highly professional and knowledgeable customer support team. You can get in touch with a member of this team 24x7 through live chat, telephone, and e-mail. Besides, the casino also has a FAQ section that you can check for answers to your queries. Royal Vegas provides complete security for all your personal details and also your transactions by using advanced online security technology like 128-bit SSL digital encryption. 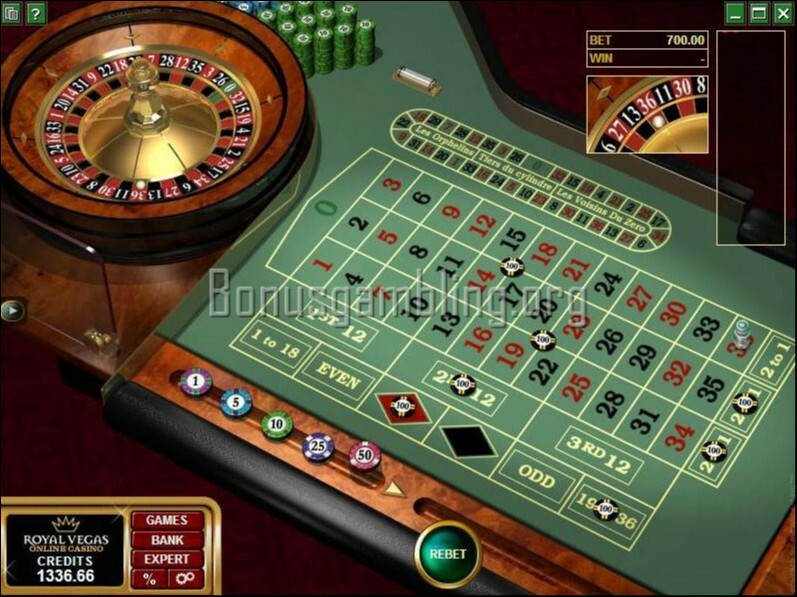 The casino also offers completely fair games and has been certified by eCOGRA for fairness and safety. In keeping with its strict policy of preventing underage gambling, Royal Vegas accepts only players above 18 years of age. Royal Vegas Casino is licensed by the Lotteries and Gaming Authority of the Government of Malta. This casino does not accept US players. Royal Vegas Casino - Superb Microgaming Casino!!! I have always had a fantastic experience whenever I have played at casinos owned by the Fortune Lounge group, and the Royal Vegas was no different. 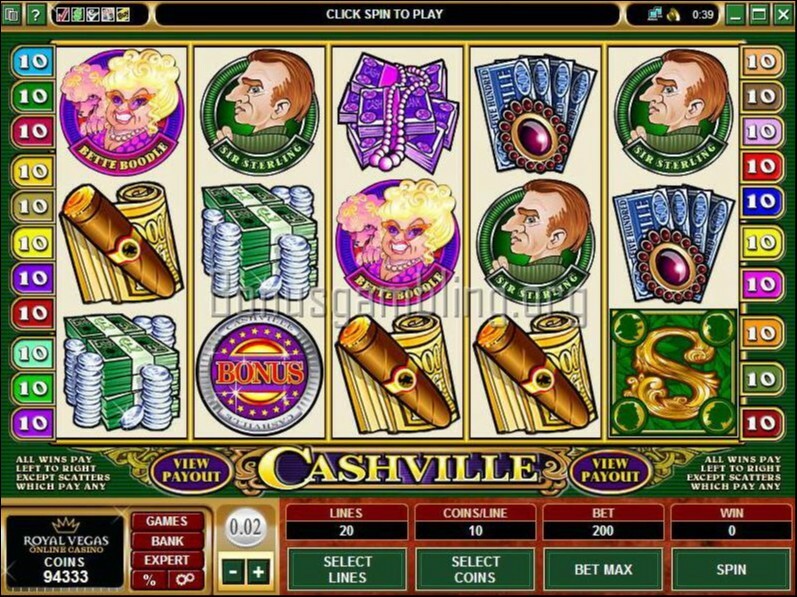 This casino too looks good and has some exceptional features thanks to the superb Microgaming software that powers it. What would you call a casino that over 390 online gambling games, because the term ‘generous’ may seem a little inadequate! That is the number of games that you get to check out at this casino. And there are the promotions to go along with as well. The welcome bonus at Royal Vegas is royal indeed: up to €1,200 free across my first six deposits, and that is a big help for people like me who love to hang around a bit and try out everything on offer. 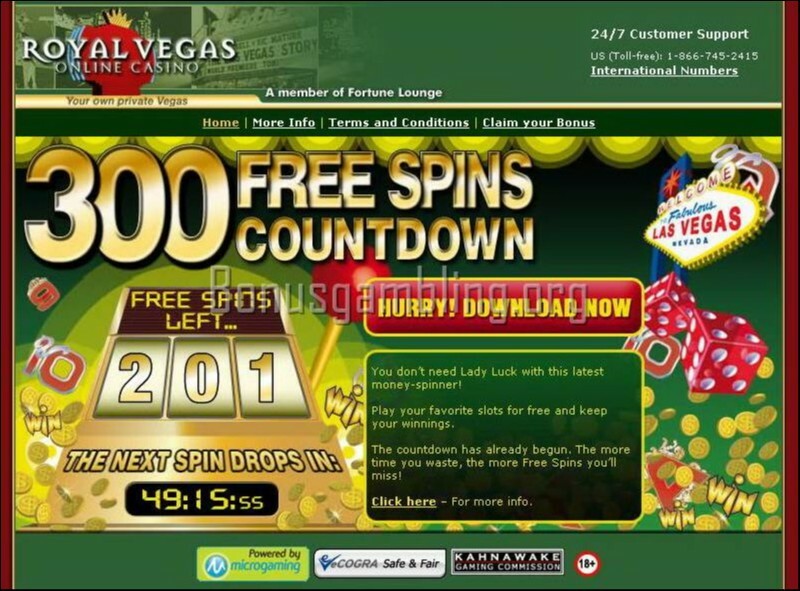 Other promotions include a referral bonus, and a chance to play at the International Blackjack League, the International Slots League, and also the International Casino Games. You can check out the latest promotions at the casino’s website. This is one casino that I had a fabulous time at, and I really cannot wait to go back for more.